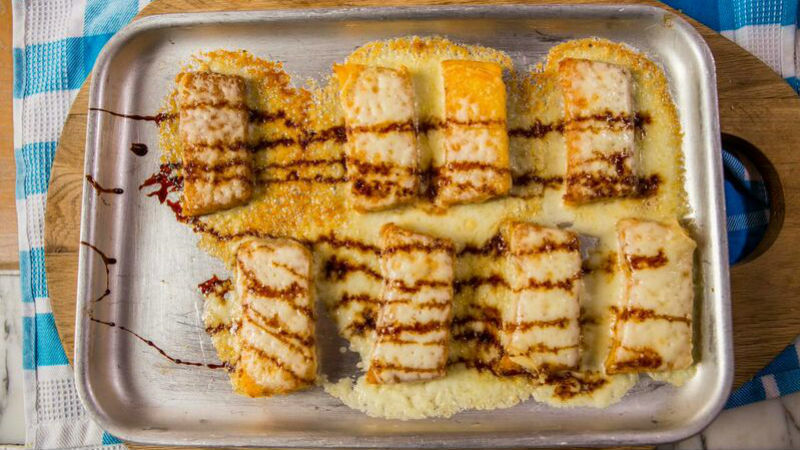 Treat yourself to this Crispy Polenta with Cheese recipe, Italian street food prepared in 15 minutes. Quick and easy this makes a delightful side for a variety of main dishes. PREPARE the polenta according to packet, whisking until smooth. It should be quite thick. POUR into a loaf tin or similar container and leave to cool. TURN onto a chopping board when cool and cut into 1.5cm slices. MELT the butter over medium heat and fry the slices for 5 minutes on each side until they have crispy edges.